How can we trust the FFA to do the right thing? “I would like to think that people judge me on what I’ve done, not what people might suspect,” new FFA chairman Chris Nikou told journalists last November. None of us can pretend to know why former Matildas coach Alen Stajcic was sacked on Saturday morning. Clearly whatever issues existed were serious enough to wield the axe barely five months out from the FIFA Women’s World Cup in France. Perhaps Football Federation Australia deserves to be applauded for acting decisively and protecting the best interests of the players. Who knows? That’s often half the problem with the FFA. “Despite calls for greater transparency or ‘show cause’ re-WNT (women’s national team) coach decision, we hope ppl (sic) understand that for confidentiality and legal reasons it’s difficult for Directors to make any further comment,” tweeted FFA board member Heather Reid AM on Saturday. Fair enough. But here’s the problem. The football-watching public no longer trusts the FFA. And very few people involved in the game feel like the FFA are capable of making the right decisions. Why would they? This is the same organisation that saw the Socceroos coach quit before the last World Cup, garnered a single vote from its Quixotic bid to host one of two World Cups, twiddles its thumbs while interest in the A-League falls off a cliff and yet still found time to volunteer for Video Assistant Referees. Less than two years ago, they handed Stajcic a four-year contract extension – supposedly as a reward for reaching the quarter-finals at the 2015 FIFA Women’s World Cup in Canada. “They’re genuine medal contenders and apart from playing well, there’s an environment of professionalism and development that is setting us up for the future,” Gallop told the Sydney Morning Herald’s Dom Bossi on the eve of the Rio Olympics. He was singing a decidedly different tune in Saturday’s press conference. “We no longer feel confident that Alen is the right person to lead the team and the staff,” Gallop said. Nikou, seated next to Gallop in the press conference, nodded along in agreement. When he was elected FFA chairman, Nikou said he wanted to get away from people talking about administration. A noble sentiment. But when the governing body sacks a national team coach less than six months out from a World Cup, it’s only natural for questions to be asked. Like who, for instance, is judging David Gallop and Chris Nikou on their performances? And what has changed between Stajcic being awarded a contract extension in May 2016 and being sacked on Saturday? And in the specific case of Our Watch conducting a review into the Matildas’ culture – an organisation whose stated aim is to “to drive nationwide change in the culture, behaviours and power imbalances that lead to violence against women and their children” – what, exactly, prompted their involvement? How many different consultants does it take to make a decision in Australian football anyway? 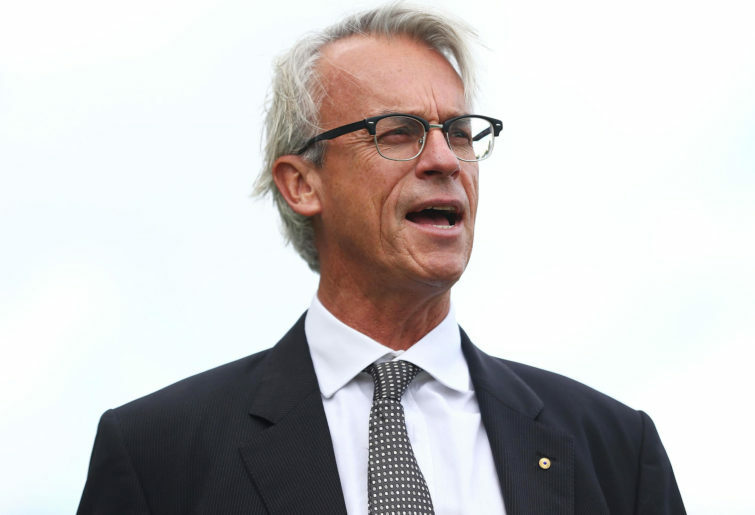 It should be stressed that if there were instances of workplace bullying – as has been confidentially alleged – then the FFA may have handled this situation as well as they could have. The whole imbroglio certainly makes selling tickets to next month’s four-team Cup Of Nations tournament all the more difficult. But as with so many elements of Australian football, FFA expects fans to put hands in their pockets without those fans knowing the full story. And there’s a bigger issue at play here than just the sacking of one individual. With all that’s gone on in the Australian game over the past couple of years, how can we trust the FFA to do the right thing?